All around the world, barriers can be found at borders. We're talking a structure (e.g. 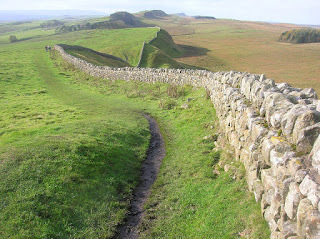 a wall) or set of fortifications (e.g. fences with guard towers and minefields) built to control the movement of people across a human-created line. While modern border barriers are typically used to combat some combination of illegal immigration, drug smuggling, and terrorism, classically they were constructed as a defence against invasion. Along with people, border barriers can limit the movement of flightless organisms. This is generally not a good thing, particularly if the creatures being restricted are migratory or do best if they are able to roam around wherever (e.g. bears and wolves). It's possible to construct fences through which animals can pass, but this often isn't a priority for the people who want them built. Another issue is the direct environmental damage inflicted by constructing and guarding a barrier. This includes impacts both obvious (e.g. habitat destruction) and less so (e.g. nighttime lighting to detect/deter people attempting to cross a border disrupts the lives of nocturnal organisms). The US-Mexico border is intermittently barricaded by fences, although these could one day end up being stitched together and extended from coast to coast. One section of the border of particular concern to conservationists is where it runs through the Sonoran Desert, home to many endemic and/or threatened animals. There's an endangered subspecies of pronghorn migrating around this desert and it tends to get stressed out when encountering human activity, so tossing in a fence and its associated guard traffic is a real bad idea. Another specific problem with the border fence is it could cut down the range of the jaguar, which currently includes parts of the southwestern US. The biological impacts of a border barrier can also be subtle. 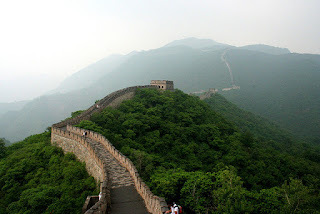 For centuries now the Great Wall of China has physically restricted pollination (both via insects and wind) between populations of plants growing on either side of it, reducing gene flow and causing them to diverge genetically. A similar effect is seen across mountain ranges. In an interesting twist, fortified zones sometimes end up providing important habitats if they are left untouched following their construction. An example of note is the border zone between East and West Germany (Inner German border). While the surrounding regions have largely been intensely developed for agriculture, the zone has mostly been left to nature and is now home to a number of endangered species. Grigione MM et al. 2009. Identifying potential conservation areas for felids in the USA and Mexico: Integrating reliable knowledge across an international border. Oryx 43(1):78-86. Marris E. 2006. Wildlife caught in crossfire of US immigration battle. Nature 442(7101):338-339. Su H, Qu LJ, He K, Zhang Z, Wang J, Chen Z, Gu H. 2003. The Great Wall of China: A physical barrier to gene flow? Heredity 90(3):212-219.